Next Day Science offers a complete line of pipette controllers designed to work with glass or plastic serological pipettes for a wide range of lab needs. 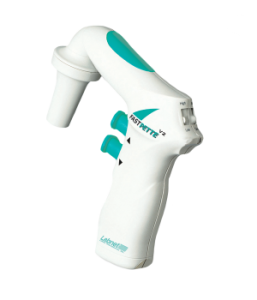 Our pipette controllers are ergonomically designed with touch-sensitive speed control and extended battery life. The hydrophobic .2um filter makes these pipette controllers ideal for cell culture applications. See individual products for more detailed descriptions or contact us at 866-650-0314 with any further questions. 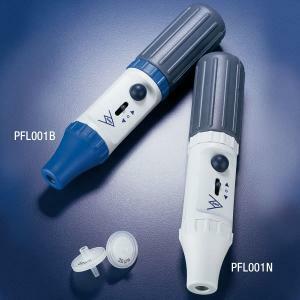 What size of pipettes can be used with these pipette controllers? 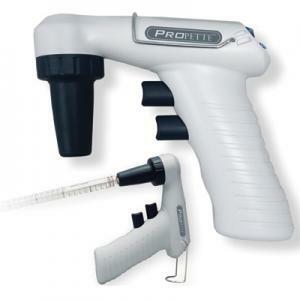 The manual pipette controller, Propette Manual Pipette Controller, accepts pipettes from 0.1mL to 100mL with its flexible, silicone "chuck" adapter. 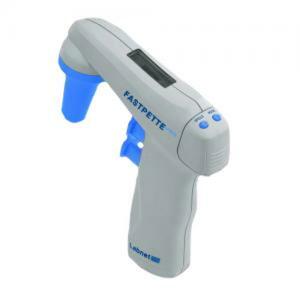 The battery operated pipette controllers are made to accept pipettes from 1mL to 100mL offering a variety of uses and abilities for accurate aspiration and dispensing. Is it possible to use these controllers with glass or plastic pipettes? The adapters on the pipette controllers are flexible and will accommodate all types of glass and plastic pipettes with a soft, precise, air-tight seal. 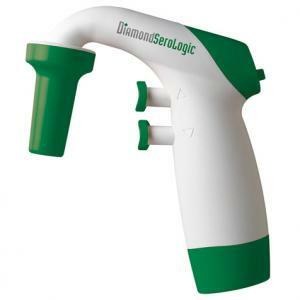 This offers further control to aspirate and dispense the correct amounts of liquid. 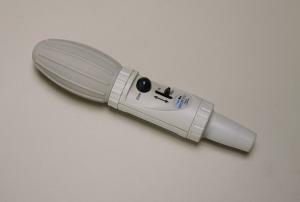 Are the pipette controllers autoclavable? Any parts of the pipette controllers that may need to be sanitized, such as the filters and pipette holders, are completely autoclavable. Do I need a manual or a motorized controller? Manual controllers have no battery to recharge and allow the user to precisely control the filling speed based on the touch of a finger on the EZ-Flow lever. The motorized models offer variable speed control with high and low pressure control buttons to accurately adjust for the volume of the pipette and the viscosity of the liquid. Do the motorized controllers have rechargeable batteries? All of the motorized pipette controller options offer completely rechargeable batteries and can operate for 8-10 (up to 2500 pipettings) hours on a single charge. Do the motorized controllers have variable speed control? Each motorized pipette controller model offers low and high aspiration speeds for complete accuracy for the user. The suction can be adjusted for high aspiration speeds, up to 25mL in 4 seconds and dispensing can be done as controlled as is necessary for the application, using either gravity or supported by the pump. Do the pipette controllers have filters to eliminate cross contamination? Each controller offers different options to eliminate cross contamination. The ProPette products have replaceable filters. The FastPette products are protected with a safety valve and a PTFE filter to protect samples.